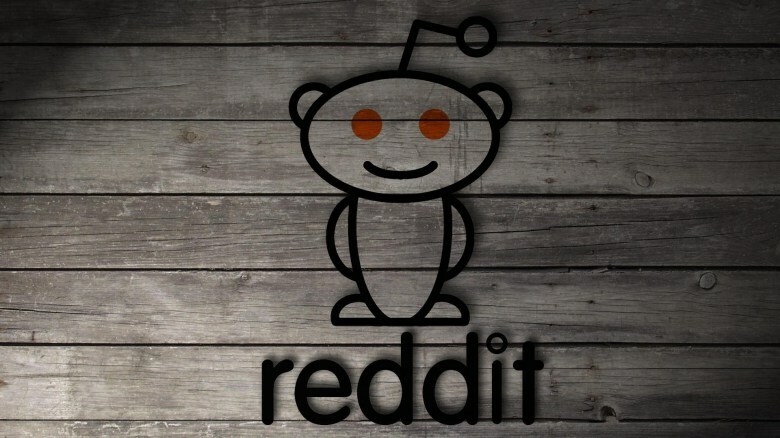 What Can Reddit Tell Us About The Future of Science? Back in January 2013, twenty-three year old Kim Suozzi passed away after her fight with glioblastoma, a rare form of brain cancer. Kim, a recent college graduate and neuroscience major, made headlines in the months leading up to her death for her decision to cryopreserve her brain in hopes that she would one day be revived. Unable to pay for the high cost of the procedure, Kim and her boyfriend Josh Schisler took her case to the Internet, determined to drum up donations to fund Kim’s dream. Ultimately, their campaign was a huge success: Kim raised the $80,000 dollars she needed to preserve her brain until neuroscientists figure out a way to bring her back to life. I came across Kim’s story a few weeks ago, after the New York Times published a wonderful profile and documentary about her final journey. Kim’s story resonated in many ways: her fierce optimism in the face of death; the excitement about the possibilities of cryopreservation; and most of all, the tragedy of a life cut too short. And yet there was another, albeit more mundane, detail that stuck out to me. Kim’s fundraising campaign got its start on Reddit, the social networking site better known for its memes than its enthusiasm for neuroscience. Admittedly, I am not a Reddit user, so my knowledge of the site and its users is limited. * But the thought of Reddit users raising thousands of dollars in order to preserve someone’s brain intrigued me. Out of curiosity, I clicked over to Kim’s archived post. What I found was a heartfelt post by Kim (titled “Reddit, help me find some peace in dying young (I’m 23)”), accompanied by 545 comments by Reddit users. Undoubtedly, a significant number of the donations in Kim’s case grew out of genuine empathy for her diagnosis and a desire to grant her final wish. But what fascinated me most about the comments on Kim’s post was the intensity of the conversation that emerged about the future of cryonics and neuroscience more generally. Reddit users debated the legitimacy of the field, the current state of scientific knowledge about consciousness, even the definition of biological death. While the caliber of arguments was certainly variable, there was no doubt that the engagement was heartfelt. It was clear that Kim’s story, and the possibilities of cryopreservation more generally, held a deep fascination for many people. The NYT piece noted the cruelty of many Reddit users who labeled Kim as selfish or even stupid for pursuing cryonics. Understandably, these kinds of comments caused distress for Kim and Josh, who actively down voted them to keep them at the bottom of the thread. And indeed, many of the posts argue that cryonics is a scam or, at the very least, an egregious waste of resources. But I would suggest that the thread represents much more than just a cautionary tale about the malice of online bullies. The popularity of the Reddit thread also points to the potential of online communities to act as virtual playgrounds for our collective scientific imagination. As users pontificated on the certainty of scientific progress or shouted down each other’s theories of vitrification, they were also speculating about what medical technology might look like 25, 50, or even 100 years from now. And while many of the users were clearly influenced by sci-fi and other popular representations, they didn’t reproduce these narratives wholesale. In fact, many commenters were critical of using sci-fi clichés (including at least one take down of the “flying car”), while others insisted on the futility of trying to predict the future at all. Recently, several historians of science have been thinking through the “history of the future,” taking seriously the ways in which popular culture has shaped futurist visions of science. A conference on “Histories of the Future,” held at Princeton last February, produced a collection of essays that explore the ways in which novelists, scientists, and mass culture have imagined the progression of science and technology, utopian or otherwise. (If you’re interested, check out Evan’s review for AmericanScience here). Many of the examples in these essays, however, necessarily draw on the work of elite authors and commentators, the few observers whose speculative visions have survived. But Reddit is different: it records everyone’s vision of the future, regardless of merit (or even coherence). In this sense, online communities hold the potential to be truly democratic forums for imagining new worlds, as well a space for critiquing those visions. That said, Reddit’s community is far from representative: a majority of its users are 18-29 year-old males. Moreover, Kim’s thread appeared in the r/atheism subreddit, which explains the prominence of debates about the afterlife and the dangers of blind faith. Nevertheless, online forums just might become an invaluable source for the historians of future who seek a more populist take on the scientific imagination. Of course, as a quick glance at any comment section will tell you, anonymous Internet users love to get into debates about every topic under the sun. What is unique about this case, however, is that many participants backed up their communications with cold hard cash. When someone decides to contribute to a crowdfunding campaign, whether it supports the cryopreservation of a brain or the next Zach Braff movie, they are essentially voting with their wallets. A donation says: This is what I want to see happen. This is something I believe in. To this end, it will be interesting to follow the trajectory of sites like experiment.com, a platform dedicated to the crowdfunding of scientific research. At a moment when government research funding is drying up, scientists are increasingly appealing to the public for support. Beyond the musing of online commentators, what can we learn about public attitudes towards science based on the research they chose to fund? A quick perusal of the most popular projects on experiment.com reveals some predictable winners: “Preventing the Accidental Spread of Genes by GMOs,” for example, or “Are Our Gut Bacteria Making Us Anxious and Depressed?” But there are also several supporters for “A noninvasive approach to studying fish migration,” and “Who reads science blogs, and why?” (A worthy question!) Perhaps even more than online message boards, crowdfunding campaigns can provide a few clues into what kinds of scientific futures we envision – and what that says about our own values and fears in the present. *In the course of my research I discovered that Reddit community is actually well-known for its philanthropic efforts! This entry was posted in Uncategorized and tagged cryonics, futurism, neuroscience, reddit, social media on October 2, 2015 by Jenna Healey. PhD Candidate in the History of Science and Medicine at Yale University.